Our installation crews are highly experienced and have travelled extensively within the UK and abroad. Projects have taken us to the USA, Africa, the middle east and all across Europe in recent years. All crew members will have CSCS registration as a minimum. Lead fitters will be qualified with any, or all, of the following: IPAF, PASMA, Asbestos Aware & SPA. We also have SMSTS qualification and Waste Carriers registration. We are long term members of the B.S.G.A. The fitters work to very high quality standards and are capable of installing any type of signage - ranging from smalll vinyls to huge fascias. 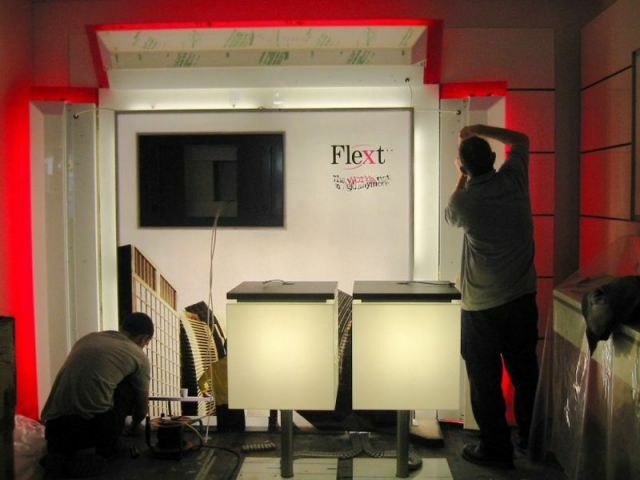 Installations vary from small, door identification stickers to large scale neon projects, shop fascias, building identification signs, internal wayfinding systems, post mounted signs, vinyl graphics and window manifestations/privacy screens. For more examples of our work see the Gallery page.